The Jewish population came to Bohemia and Moravia by way of the old trade routes. The first written records of their presence in these lands come from the 10th century, although Jews certainly passed through the region as early as in Roman times. In the 13th century, certain rights were granted to Jews, and it was just at this time that construction of the Old-New Synagogue in Prague began. Jews settled also in Brno, Olomouc, Jihlava, Litoměřice and Příbram, where they built enclosed settlements for religious and political reasons. In the 16th century, new synagogues and new centres arose. They gained emancipation in the Czech lands in 1848 and were granted legal equality 19 years later. Until 1939, Jewish culture flourished in the Czech lands, yielding many architectural and artistic works. In the 13th century, the Prague Jewish settlement expanded into the area around Dušní street and the Old-New Synagogue. This settlement was called the Jewish Quarter, or the ghetto. In 1851, it became a district of the city and was renamed Josefov. From the original quarter full of winding alleys, the town hall and six synagogues have survived. 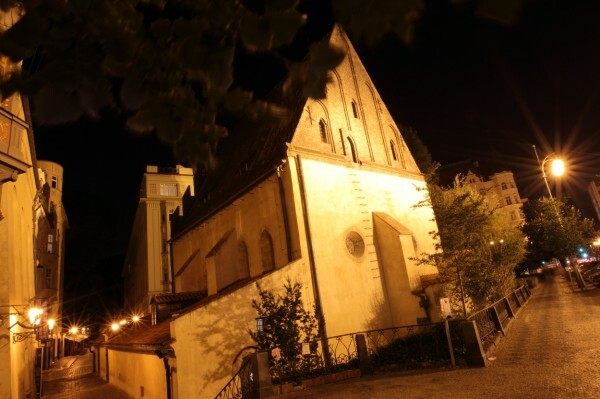 One of the surviving synagogues is the Neo-Gothic Maisel Synagogue, which was built in the Renaissance style in 1590–92 at the behest of Mordechai Maisel, the mayor of the Prague Jewish Community at that time. Today it houses an exhibition on the history of Bohemian and Moravian Jews. The exhibition continues in the Spanish Synagogue, which was built on site of the city’s oldest synagogue, called the Old School. 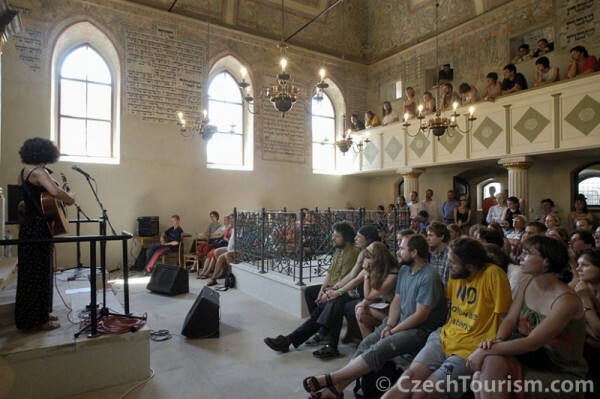 The second oldest surviving synagogue in Prague is the Pinkas Synagogue. On its walls are inscribed almost 80,000 names of victims of the Nazi Holocaust, or Shoah. Adjacent to the synagogue is the Jewish cemetery, where the oldest tombstone, that of Avigdor Kara, dates to 1439. Also located here is the tomb of the famous Rabbi Löw, creator of the legendary Golem. On the right-hand side, in the direction of the cemetery, is the early Baroque Klausen Synagogue. 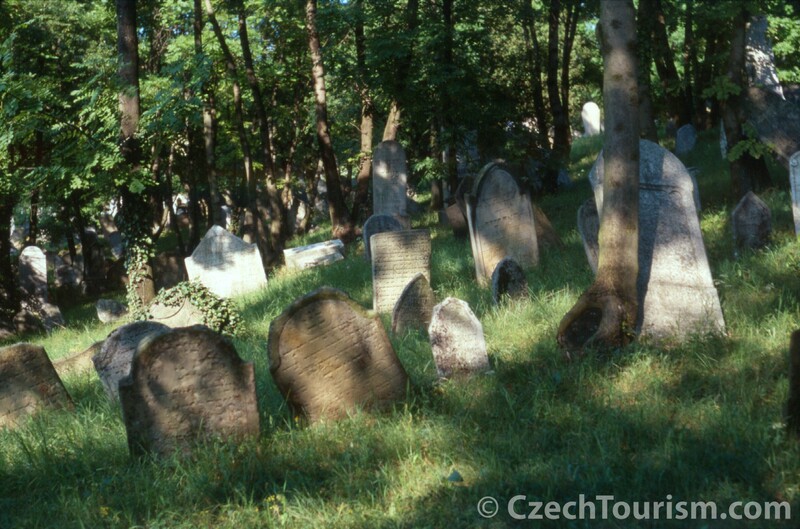 Beyond the former ghetto, there is an old Jewish cemetery in the vicinity of the Žižkov TV Tower and a new Jewish cemetery near the Želivského metro station, where the famous writer Franz Kafka is buried. 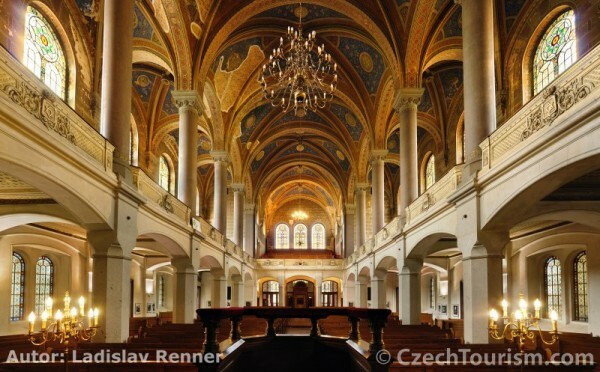 In addition to the sheer size of the Plzeň synagogue, proof that there has always been a large Jewish community around the city of Plzeň is the number of preserved monuments. As elsewhere, the Jewish population was decimated by the Nazi occupation in the first half of the 20th century. The original ghetto in the northwest section of Plzeň disappeared in 1504. Jews lived in Plzeň in scattered settlements until 1848, when the modern Jewish Community was established. In the years 1858–59, the Old Synagogue was built in the Neo-Romanesque style according to the new rite. When the Great Synagogue was built in the years 1888–92, the importance of the Old Synagogue gradually declined. Since the autumn of 2013, it houses an exhibition. The Great Synagogue is one of the largest in the world, blending Neo-Romanesque and Neo-Renaissance elements with oriental motifs. After the Second World War, it fell into disrepair and was used only occasionally. It underwent renovation in the 1990s and became a cultural centre of Plzeň. Near the Old Synagogue in Plzeň you will find the ruins of the Auxiliary Synagogue, today the location of the Holocaust memorial called the Garden of Memories, built of 2,600 stones with the names of victims. Plzeň is a city of beer. Tours of the brewery and the Brewery Museum will acquaint you with the mystery and history of Pilsner Urquell’s unique brewing process. You will see a film about beer production in a panoramic cinema with a revolving auditorium. 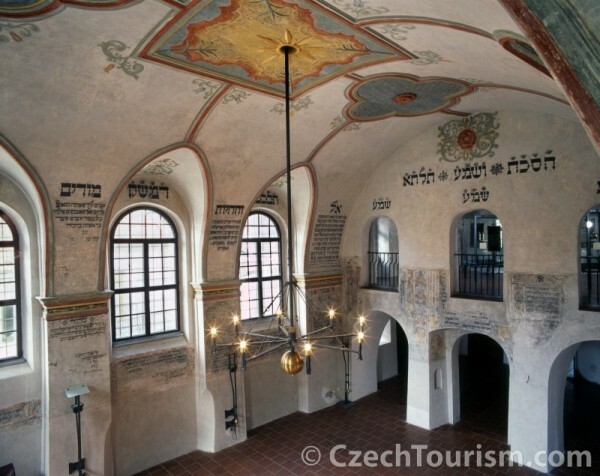 One of the most important Jewish sites in the Czech Republic is the preserved Jewish Quarter in Třebíč, which is on the UNESCO World Heritage List. It is composed of 116 surviving houses and two synagogues – the Rear and the Front. The Rear Synagogue houses an exhibition on the appearance of the city in the 19th century. After following a former cart way, you can also visit the Jewish cemetery. In its extent and the number of preserved buildings, the Třebíč Jewish quarter is the biggest in the Czech Republic. Before the Second World War, Brno, the metropolis of South Moravia, was home to around 12,000 Jews, who could visit four synagogues. Only one survives – a Functionalist-style synagogue by the architect Otto Eisler dating from 1934–36. It still serves its original purpose and is the only one in the entire region. In the Židenice (meaning Jewish town) district, there is a cemetery which was established in 1852. In its Neo-Romanesque ceremonial hall, fragments of tombstones from the Middle Ages are embedded in the walls. Behind the ceremonial hall is a Holocaust memorial. In nearby Lomnice, 35 buildings of the former Jewish ghetto have been preserved. Among them is a school with a rabbinate, a hospital and a pub. On the west side of the quadratic square, which used to be the centre of the ghetto, there is a synagogue which today serves as a cultural centre. 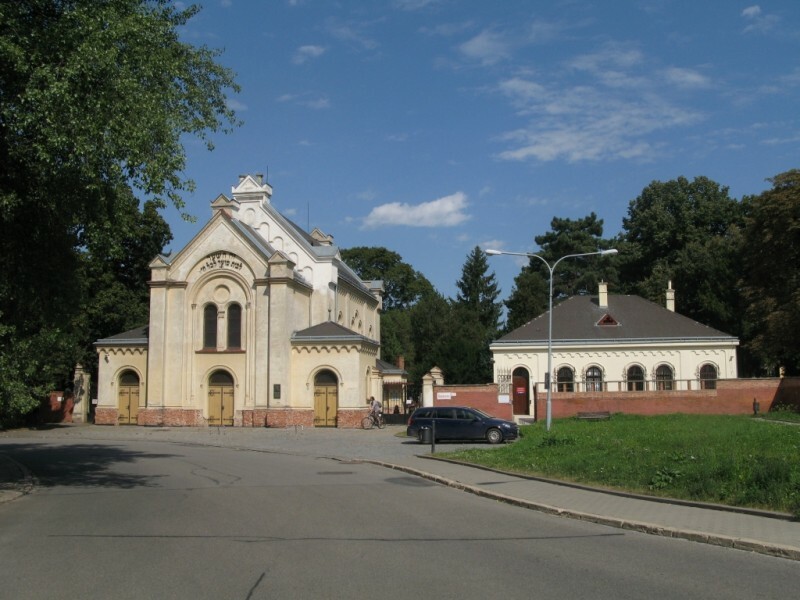 There was also a significant Jewish community in Boskovice, where a famous school (yeshiva) and centre for Talmudic research were in operation at the turn of the 19th century. In the mid 19th century, more than one-third of the population was of Jewish origin. The local cemetery has more than 2,400 graves. Of the original 138 buildings, 79 are still standing today, including a school, a spa, a hospital, a mikveh (ritual bath) and a Baroque synagogue. Since 1999, the major Jewish sites are connected via an educational trail. Up to 90 surviving Jewish buildings, of which 45 are designated cultural monuments, can be found in Mikulov. From the 16th century until 1851, this was the seat of the Moravian regional rabbi. You can follow a roughly kilometre-long educational trail through the Jewish quarter, with 13 stops at important sites in the Jewish district’s history, ending at the medieval mikveh. Mikulov occupies a prominent place on the religious map of Moravia. This is mainly thanks to Cardinal František Dietrichstein, who in the mid 17th century established an outstanding collegiate chapter in the city and commissioned the first Loretto church to be built in the Czech lands. He also started the tradition of religious pilgrimages to Holy Hill (Svatý Kopeček) above the town, which continue to this day. Leading up to the top of Holy Hill, where the pilgrimage church of St. Sebastian stands, is a Stations of the Cross, which is the oldest in Moravia. Mikulov is located in the centre of Moravian wine country, so there is also a wine trail with stops in wine cellars. The region is interwoven with a network of cycling paths. In Mikulov, history was made. Troops passed through the town during the campaign of Emperor Napoleon against Austria in 1805 and 1809. On 6 December 1805, four days after the Battle of Austerlitz near Slavkov, peace negotiations were opened at the local chateau, which were later concluded in Bratislava. Napoleon himself slept in Mikulov in September 1809 while on his way to Brno and the Slavkov battlefield. In August 1866, a truce between Austria and Prussia, called the Mikulov Armistice, was pre-negotiated here before later being concluded in Prague. Mikulov is truly a place of reconciliation. The Terezín Fortress was built in 1790 as a defence against Prussian incursions into Bohemia. It epitomizes the high art of fortification, but changes in weaponry and military strategy meant that it was never used militarily. Today, the Terezín Fortress is also a sad reminder of the atrocities that took place during the Second World War. Besides the police prison in the Small Fortress, the Main Fortress served as a Jewish ghetto for Nazi Germany. But prominent people were also imprisoned here – leading politicians, scientists and artists. The Nazis then transported Jewish prisoners by train to death camps such as Auschwitz or Treblinka for liquidation. In 63 transports, about 87,000 people left Terezín, of whom only around 3,600 returned after the war. About 155,000 people passed through the ghetto. 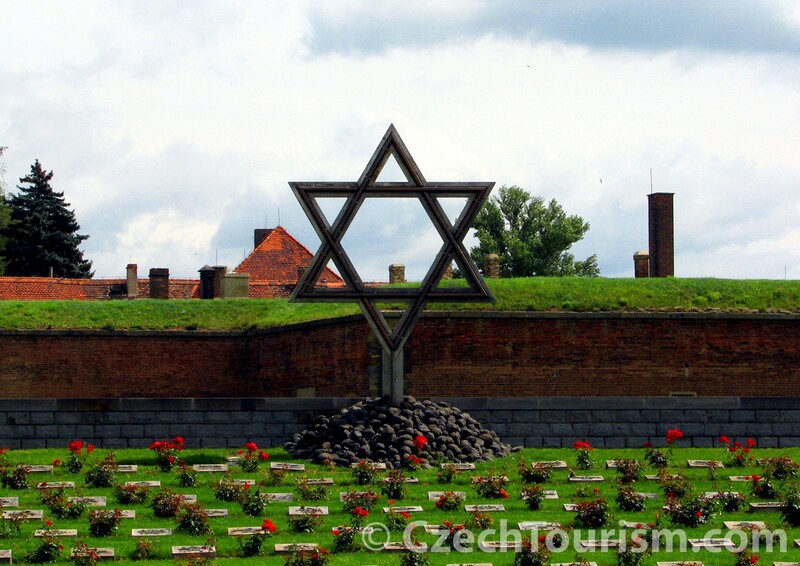 After the war, the Terezín Memorial was established here as a national monument. It is visited by thousands of tourists from around the world each year. The Ghetto Museum presents an exhibition on the Final Solution of the Jewish Question. The exhibition was arranged in cooperation with prisoner of the Terezín ghetto and with the help of hundreds of documents, drawings, objects, letters and films about life as a prisoner. In the Magdeburg Barracks, the former headquarters of the Jewish self-government, exhibitions about cultural activities in the ghetto are held. The historical city of Litoměřice stretches along the river Labe (Elbe) just a few kilometres from Terezín. Litoměřice is noted for the cultivation of grapes. In Europe’s northernmost vineyards, wine of excellent quality is produced. Do not miss the interactive exhibition about Czech viticulture in the newly renovated castle in the centre of Litoměřice. Of course, you can taste the wine here.